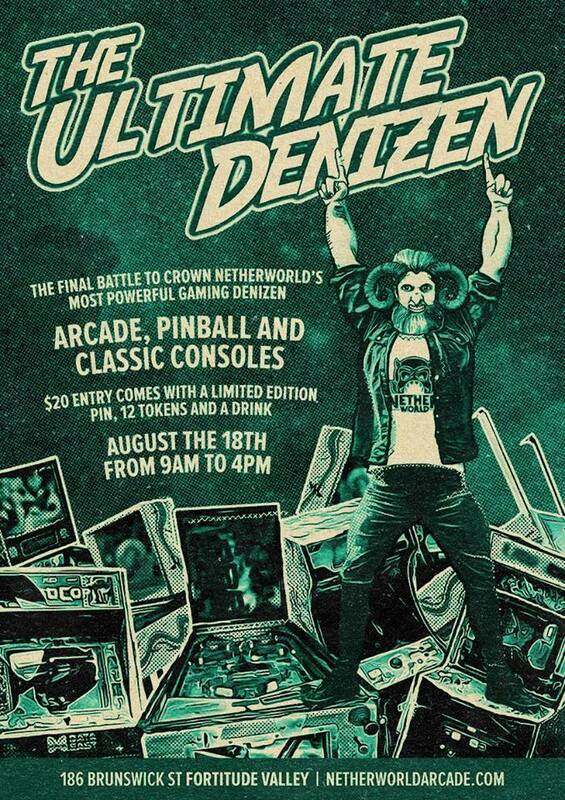 In the Netherworld books of lore, the ancient beings spoke of the prophecy of ‘The Ultimate Denizen’ – a unique creature so powerful it mastered all of the arts of arcade, pinball and classic consoles. It was told this denizen would be found at the culmination of the great Brisbane dark carnival - the EKKA and the Netherworld Sideshow. The ancient ones have graced us with their presense and spoken for the second time of a series of trials to crown this one denizen. To achieve this, the denizen must excel in a variety of games spanning generations and style. Pinball, both old and new. Consoles, from their birth until the modern age. Racing on the Netherworld Speedway. Accuracy with a plastic gun. Arcade games, from the 8-bit classics through to the colourful 90’s. A weakness in any particular section will see you cast out from the possibility of the ultimate reward. The winner will be given many riches and immortalised via royal portrait and hung on the walls of the Netherworld besides the winners of years past. The battle happens as the dark Ekka carnival comes to a close, on Saturday the 18th of August. Come down to compete anytime from 9am until 4pm. Each $20 ticket comes with a limited edition Ultimate Denizen pin designed by Schlock Lobster, 12 tokens to play and a drink. Grab advance tickets via ultimatedenizen.eventbrite.com.au.